B&O Play reveals new E4 noise-cancelling headphones | What Hi-Fi? The Beoplay E4 in-ear headphones use the same noise-cancelling tech as Beoplay H9, and can cancel up to 15dB of low frequency sound. The summer holidays are approaching, and trains and buses will soon be filled with uproar - a little peace and quiet will go a long way. 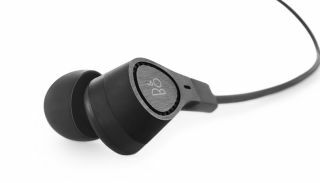 So you might want to look at some noise-cancelling headphones - B&O Play is offering its latest E4 noise-cancelling in-ear headphones as a solution. Featuring active noise-cancellation to cancel out up to 15dB of low frequency sound, the E4s use the same tech as in the Beoplay's H9 wireless headphones. B&O Play has improved the battery unit - it's sleeker and features a polymer surface to give it greater tactility and durability. The music control unit has also been redesigned, and now comes in anodized aluminium for a more expensive look and feel. If you want to get your hands on these headphones, they're available from today. They are priced at £250. Amazon Echo vs Google Home: which is better?